Although much of the country, Chicago included, is being blasted by arctic air, that doesn’t mean that the beach is out of reach. 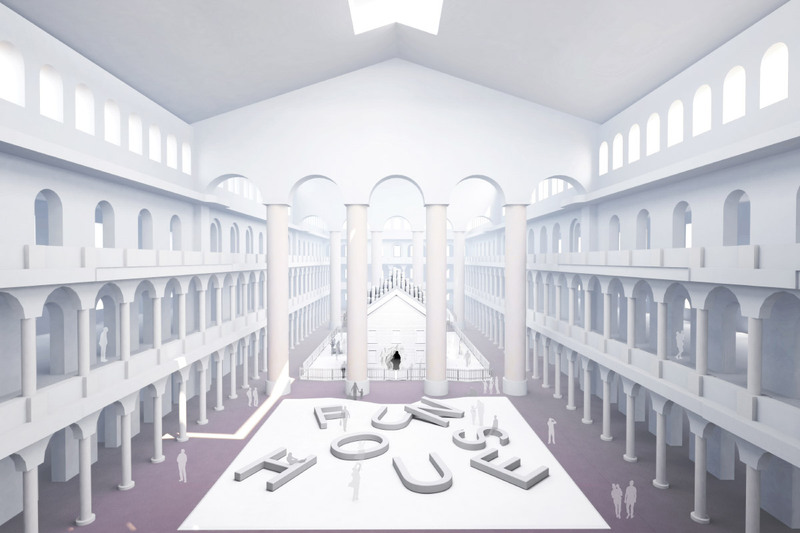 From now until February 3, Chicagoans can leap into Snarkitecture’s The Beach Chicago, back in the states after serving its last tour of duty in Sydney, Australia. Interested visitors can find the 1.1-million-ball-beach installed inside of the Aon Grand Ballroom at the Navy Pier. The ballroom, designed by Charles Sumner Frost and completed in 1916, is an imposing location for The Beach, as the installation sits under an 80-foot-tall stone-and-steel dome. Visitors can take in the impressive view by lounging on a deck chair, or “floating” in the ocean of translucent antimicrobial balls. 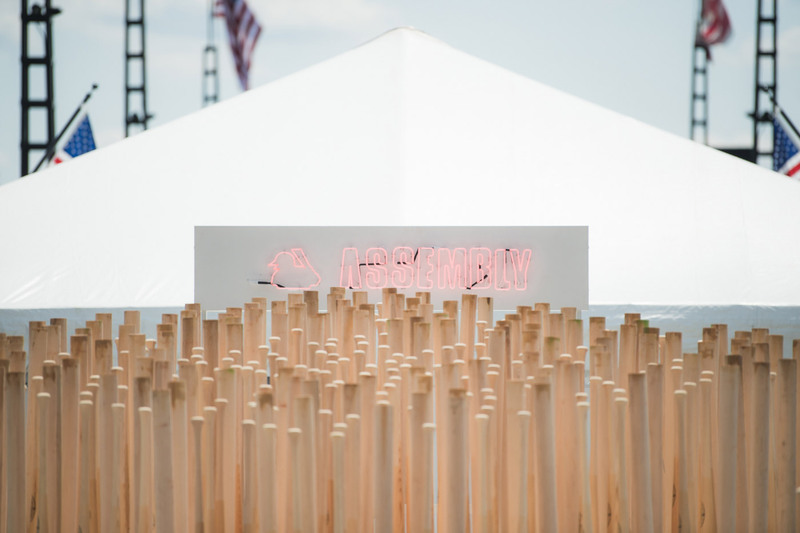 The 18,000-square-foot space on the pier has been transformed into a full “beach," complete with umbrellas, lifeguard stations, inflatables, lounge chairs, and the appropriate signage. Restaurants on the pier will be offering up complimentary “beach-themed” menus, and the Chicago Shakespeare Theater will continue its run of A Midsummer Night’s Dream. 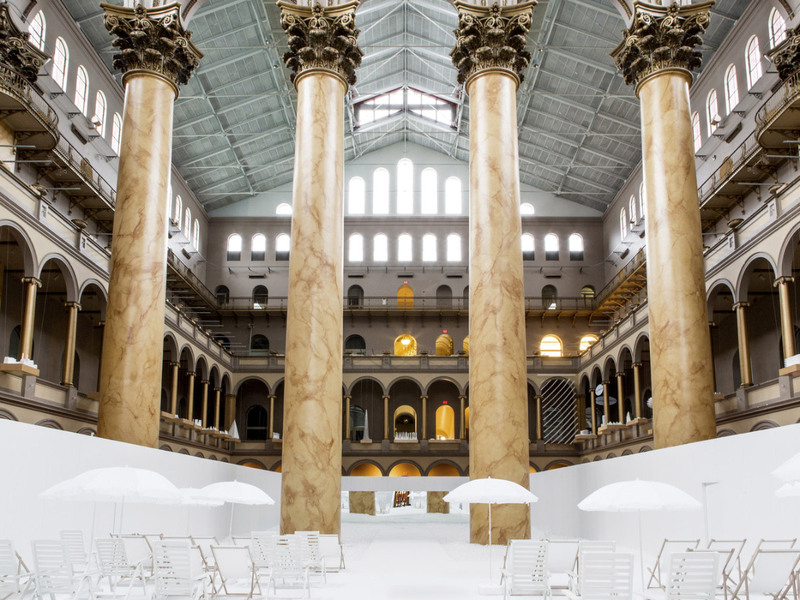 The Beach began as a commission for the National Building Museum in Washington, D.C., as part of its annual Summer Block Party series. 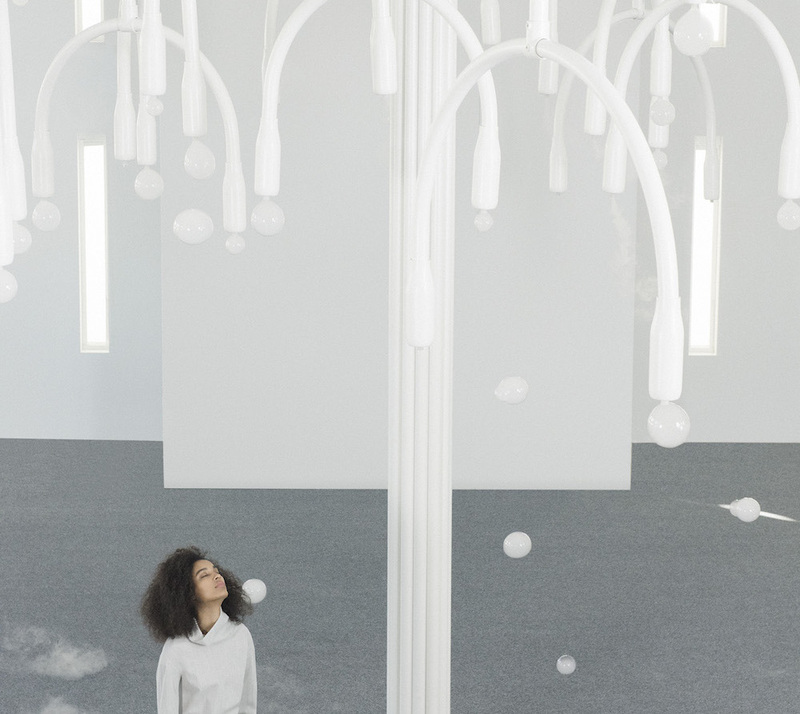 Snarkitecture responded to the prompt by flooding the museum’s Great Hall with colorless white balls, creating both a play space and meditation on the form of the balls themselves. 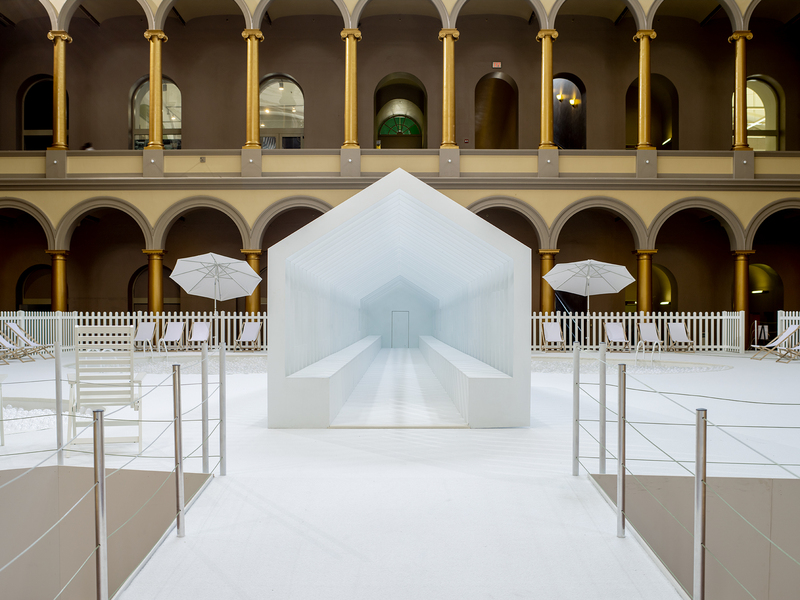 The installation was so successful that it’s been touring the world as a series of pop-ups ever since, and returned (partially) to the National Building Museum as part of the Snarkitecture retrospective in 2018. The Beach Chicago was made possible with support from The Chicago Free For All Fund at The Chicago Community Trust, the Navy Pier Associate Board, and Hilton Worldwide. Daniel Arsham is feeling blue. Hourglass, the latest exhibition by the New York–based artist and Snarkitecture co-founder, is currently on display at the High Museum of Art in Atlanta. Hourglass features some of the Arsham’s first work in color. The colorblind artist has worked predominantly in black and white throughout his career but recently began using special light refracting glasses, which allow him to see the world more vibrantly. “Life is definitely more nuanced, but I’m not sure it’s more interesting. 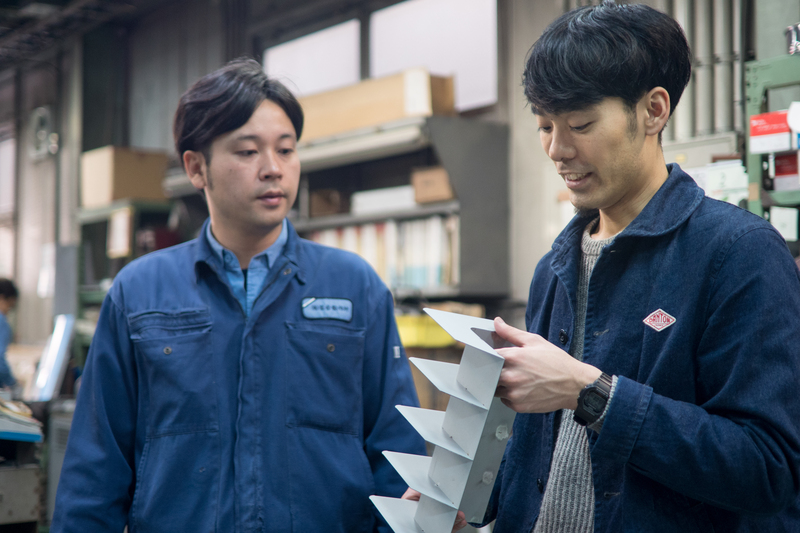 I feel like I’m inside a game—an overly saturated world,” said Arsham in a press release. “But now I’ve arrived at a point where I’m using color as another tool in my work. This is a unique project for me in that there is a ton of color, so I think it’s going to be really interesting to see audiences react.” The exhibition at the High features three installations, including a blue Zen garden and tea house that dominates one of the museum’s interior galleries. The monochromatic space is washed in a hurts-your-eyes blue: blue Japanese tea house, blue floor, blue sand. A gray petrified tree and gray stone lantern stand in the garden, providing the eyes with a break from the overwhelming color. Inside the tea house, a cast figure of a woman and a camera sit on the, you guessed it, blue tatami mats. 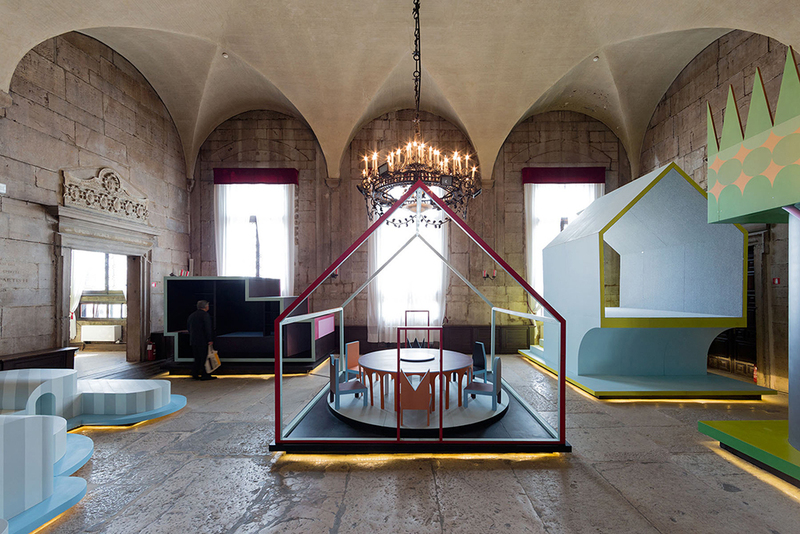 The “scattered objects give the environment a palpable sense of dwelling—as if occupied by a caretaker hermit,” said the museum in a press release. That caretaker hermit, a member of the Atlanta glo dance company, comes along each Sunday during the exhibition to rake new patterns into the sand. The other installations include a cave of purple amethyst-cast sports equipment and a room of hourglasses that draw on Arsham’s continuing project, Fictional Archaeology, which involves the casting of everyday objects in precious and semi-precious stones. Hourglass is on view at the High Museum of Art in Atlanta through May 21. 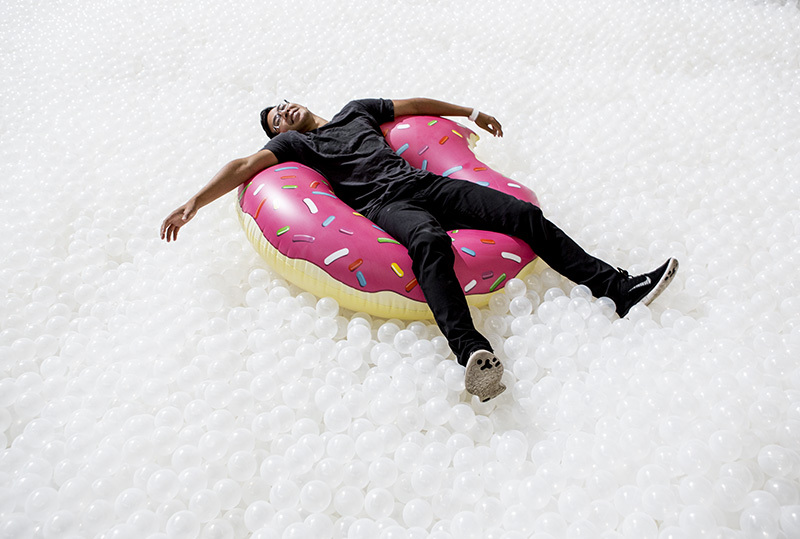 The Beach, a giant interactive art installation by New York-based studio Snarkitecture, is coming to Tampa, Florida on August 5th. 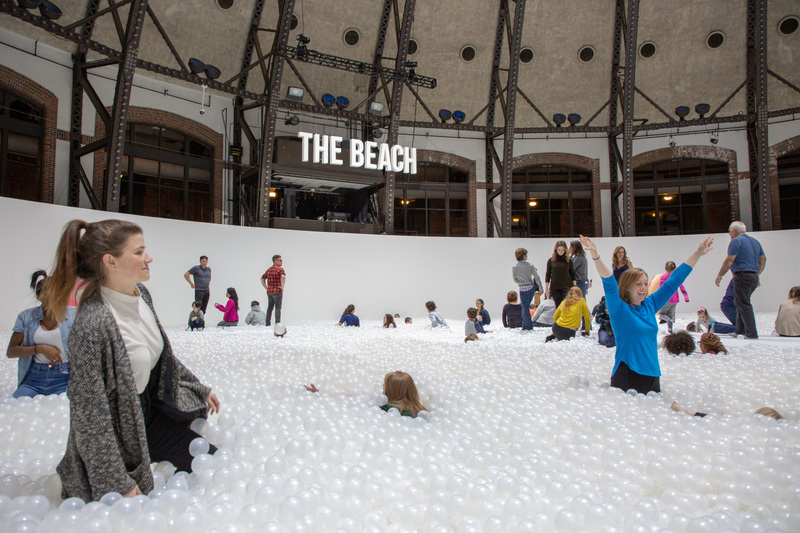 As its name suggests, The Beach is a massive indoor landscape that uses recyclable plastic balls in place of real sand and surf. The World Architecture Community reports that the faux-shoreline, landing in the Amalie Arena, will be 75 feet wide, complete with surf chairs and umbrellas. 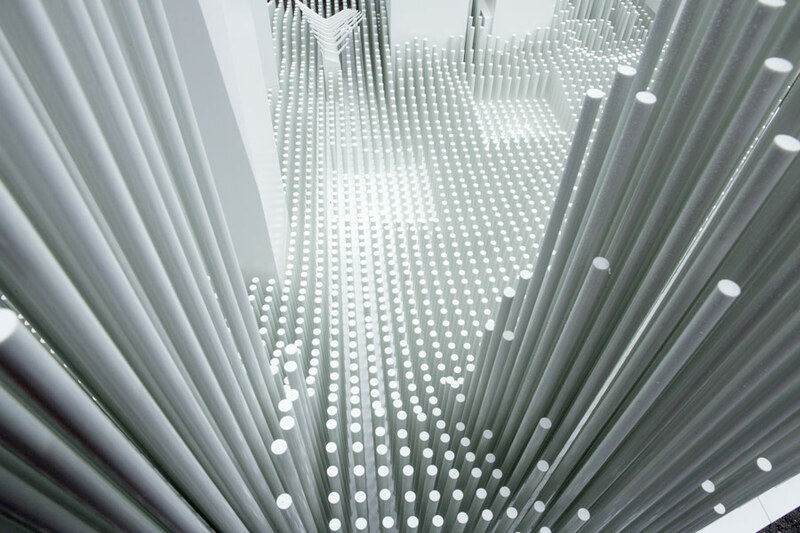 Adding to the illusion will be mirrored walls that make the expanse of "water" seem endless. The National Building Museum in Washington, DC hosted the exhibit last year, and it was a smash hit with kids as well as the press. The Tampa exhibition will up the ante from its last iteration, with 1.2 million balls instead of 750,000, and a total of 15,000 square feet. Amalie Arena, home of the NHL's Tampa Bay Lightning, will provide the venue. The exhibit will run from August 5 to August 25 and is free, but you'll need to reserve a ticket to attend.